Earlier this month we caught up with Note Anytime user Alan Pierson. Described by the New York Times as “an award-winning conductor and musical visionary”, Alan took time from his busy schedule to talk with us about how he uses Note Anytime’s rich features to annotate, mark, and take notes on musical scores. Note Anytime’s versatility and powerful tools seem to be on track to enabling a truly paperless performance in the future. MMJ: How did you come across Note Anytime? AP: I bought a windows 8 tablet shortly after they came out. A real goal of mine, as part of organising my life, is to move away from paper. I have binders full of scores, and these are really precious. It’s not just the music; it’s also the things I mark into the music as I am learning a score – and those markings are always changing. If my apartment burned down, all that stuff would be gone. And it’s also a pain to always be sure that I have the right scores with me for any particular concert that I am doing. When I got the tablet I went to see what was out there that I could use in place of old-fashioned paper and pens to mark up scores. Note Anytime was the most interesting and promising option that I came across. MMJ: Do you use any other devices day-to-day? AP: I also have an Android smart-phone. MMJ: Why did you choose a Windows tablet over say, an iPad or Android tablet. Is it personal preference or is there a professional reason? AP: There are a couple of reasons why I didn’t go with an iPad. I am more of an Android person than an Apple person for a variety of reasons, but at a basic level the iPad is too small to conduct off of. Even the Lenovo Yoga that I have is small for conducting; to get to the point where I am conducting from a tablet I will need to get something even bigger than I have right now. Another reason why the Windows tablet was more appealing to me is that the other music software packages that I use are Windows desktop applications, and the tablet can run those which is really great. MMJ: You mentioned the size of the tablet is a factor is replacing paper when composing. Do the conditions when using the tablet also have an impact, for example the levels of light in a room? AP: Because you are dealing with a screen that projects, rather than paper which reflects, it can function well. Low-light isn’t a concern unlike when dealing with paper. MMJ: What is the process that you go through when receiving a new musical piece? AP: When a new piece is written it arrives in one of two ways; either a PDF document or a music notation file, although this will also end up as a PDF. So what I’d like to do is bring the PDF into Note Anytime and mark it up there, rather than doing it the old-fashioned way which is to print out the score and then mark it up with markers and a pen or pencil. Part of learning a score is marking it and putting in the kind of information that will help me in rehearsals and during performances. MMJ: You mentioned that you are using Note Anytime to “mark” your musical scores. What kind of annotations do you make on scores? AP: I mark patterns a lot, phrases. Actually the new shapes in Note Anytime are really useful for that. I’ll put big lines in to indicate where there are phrase breaks, and I’ll sometimes mark a major entrance of an instrument. I also note any questions that I want to speak with the composer about. I also make notes during rehearsals. One of the things I find hardest in conducting is that during rehearsals you might spend 5 or 10 minutes playing non-stop, and during all that time, as a conductor you need to be keeping track of all the things that are going wrong so that you can go back and fix them. With paper I will “dog-ear” a page (turn over a corner) while conducting and sometimes make marks with a pencil. This is very fast paced and something I would like to be able to use Note Anytime for in the future. One of the things I would like to see is an improvement in the speed and process of turning pages; especially for performance situations. There is no easy way to add notes while in the mode that makes turning pages easier (the viewing mode), and while in the editing mode the page “turn” buttons are too small to hit reliably during a performance. This and faster page refreshes are the biggest stumbling blocks in actually using Note Anytime in the way I would like to. When you are performing your mind is involved in what is happening musically, so the mechanics of getting around a score needs to be really intuitive. We are all used to turning a page, but interacting with a tablet device is a different thing. In order for the devices to replace paper the interaction needs to be just as intuitive. Performance is sensitive in a way that nothing else is; if you are reading a note or marking up a PDF document, it’s no big deal if the app takes a fraction of a second longer to render a page, but during a live performance your flow can be interrupted and this can derail the performance. I remember once trying to use a tablet for a rehearsal and meant to turn a page but accidentally pulled up a completely different app! Gestures are great, but lots of factors such as the position you use the gesture on a page can introduce unexpected results. For all of its limitations, pen and paper is still a reliable approach – making a technical solution as reliable and predictable seems hard, which is one of the things making it difficult to get musicians to move away from their current way of doing things. MMJ: That’s interesting. What could a Note Anytime solution look like for musicians? AP: I imagine it would have musicians using their own devices, with the app showing them the music that they need to see. Players aren’t looking at the same thing I am looking at. I see the full score and they are seeing their individual instrumental part. So a system that lets them look at their own version of a score and then mark it up. Musicians mark up their score just like a conductor does, anything from “this is where the oboe comes in” to help them keep track of where they are during a piece, to notes about where the conductor asked for something different, or corrections by the composer. Finally the ability to save these individual versions safely is very useful. Interestingly something I have seen musicians doing already is using a digital screen to allow them to turn the page without using their fingers. For a conductor turning a page using your hands isn’t a big deal, but for a musician playing a challenging piece there is sometimes just no time to turn a page. One of the reasons for using digital devices for reading music is that you can attach a “foot pedal” and use it to turn the pages – for example to keep playing the violin while still turning the page. MMJ: What are the key features that you love about Note Anytime? AP: The responsiveness of the software when you are marking things up, the ability to mark up with different colours and line widths, and also being able to edit your mark-ups individually –that’s something that I haven’t seen in other software. I looked at a couple of apps for PDF annotation in the Windows Store, but what I liked about Note Anytime is that you can change the annotations afterwards; so I can put in something, then come back a week later and take it out, or change the color or its position. When editing a score the markings change a lot. MMJ: Have you used the Digital Cabinet feature? AP: Yeah I do use it, and that’s really wonderful. My only problem is that I haven’t been able to make it synchronize automatically. I always have to worry about remembering to back it up. MMJ: Did you download the latest update (it was released a day before this interview) as that includes auto-sync for the Digital Cabinet!! AP: Ah! That’s fantastic. I will update it. The reason that auto-syncing is particularly important for music is that I would imagine that once I am conducting off a device it will be much larger than I currently use, so I will most likely want to mark up scores using something smaller. It will be great to have the marked scores automatically synchronize between the devices without me needing to worry about it! MMJ: In three words, can you describe what Note Anytime is to you? The reason I say promising is that while at this stage I can’t conduct music the way that I want to, I can see the possibilities of being able to, which is really exciting! This spring, Mr. Pierson makes his debut with the Los Angeles Philharmonic. He has also appeared as a guest conductor with the London Sinfonietta, the Steve Reich Ensemble, the Orchestra of St. Luke’s, Carnegie Hall’s Ensemble ACJW, the Tanglewood Music Center Orchestra, the New World Symphony, and The Silk Road Project, among other ensembles. 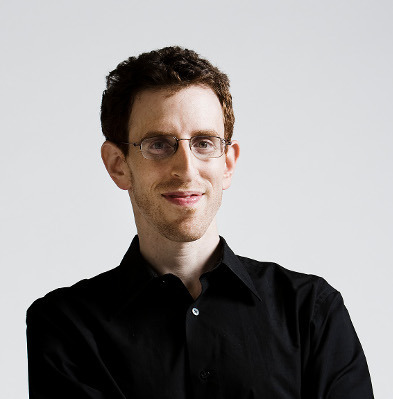 He is also Principal Conductor of the Dublin-based Crash Ensemble, and has been a visiting faculty conductor at the Indiana University Jacobs School of Music and the Eastman School of Music. He regularly collaborates with major composers and performers, including Yo Yo Ma, Steve Reich, Dawn Upshaw, Osvaldo Golijov, John Adams, Augusta Read Thomas, David Lang, Michael Gordon, Donnacha Dennehy, La Monte Young, and choreographers Christopher Wheeldon, Akram Khan and Elliot Feld. Mr. Pierson has recorded for Nonesuch Records, Cantaloupe Music, Sony Classical, and Sweetspot DVD.